It's March 2016. One of my relatives is a relatively new Trustee of a large and successful charity. He takes his responsibilities seriously and really cares about the organisation for whose governance he is partially responsible. He's got a great skill-set and is a fantastic ambassador for the cause. Me: "And it's really important to have strong fundraising leadership at the moment with all the changes going on." Me: "You know, the changes in compliance following all the negative attention." Him: "There was that story about the lady who died... didn't she commit suicide after being hounded by charities?" Me: "Olive Cooke. She did commit suicide and she did receive lot of charity letters but she didn't commit suicide because of them. The two things were conflated in the press. But yes. And that led to investigations and a review of fundraising and changes in regulation and now they're proposing a Fundraising Preference Service which is totally unworkable and... I've blogged about it, I'll send you some info." Okay, an isolated incident. But it brought home a point made again and again throughout various consultations and meetings on the changes in the Fundraising Codes of Practice, in Fundraising Regulation and the proposed Fundraising Preference Service. Whilst various Directors of Fundraising were getting pilloried in the press, the Institute of Fundraising were struggling to be understood and fundraisers across the land had their heads in their hands whimpering, "Why doesn't anyone understand?" one very vital point was repeatedly missed. Charities aren't run by fundraisers, they are run by volunteers. We call them Trustees. Charities can't be charities without Trustees. From culture to disability, from medical research to higher education, across the nation thousands of Trustees oversee a vast and varied landscape of charitable work which supports 9 out of 10 households in the UK. To quote directly from the Charity Commission, "trustees are the people who lead the charity and decide how it is run". Trustees ensure charities are "compliant with the law, well run and effective." The recent controversy relating to poor governance at Kids Company shows just how critical that is. And yet, the voice most absent in all the debates around fundraising have been the voices of Trustees. We've heard from donors, from politicians, from fundraisers and even from Chief Executive's (with special hat tip to Alzheimer's Society Chief Executive, Jeremy Hughes) but Trustees have been under represented to say the least. In January 2016, Conservative MP Bernard Jenkin wrote in The Guardian: "Trustees must adapt to meet this crisis. 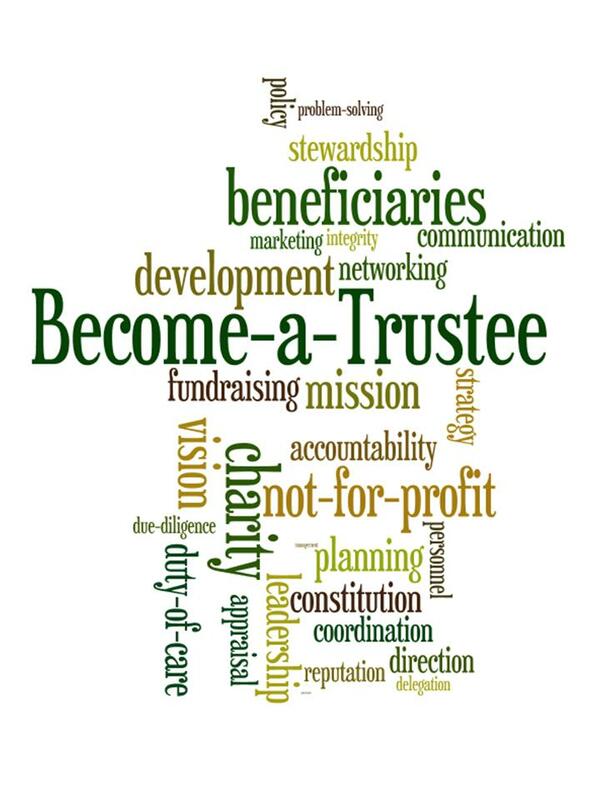 Trustees are responsible for appointing managers of charities, they are responsible for their charities’ values and they are responsible for ensuring everyone behaves ethically towards their beneficiaries, employees and donors." But how to adapt to a crisis you're not aware of and make decisions about something you don't fully understand? Fundraising something that everyone has an opinion on, like dog poo on the pavement and the fastest way to drive from one part of a city to another. Everyone has done fundraising and experienced charities. Everyone has been a donor. In itself the word "fundraising" is a problem. It encourages people to bring their personal associations to the table and somehow leave their business experience behind. That's in part because of the double standard that so many of us apply to charities - not just "members of the public" and politicians - but charity employees and charity Trustees too. We're all guilty of that. But fundraising to sustain a charity and ensure it fulfils its mission can involve multiple income streams, significant long-term investment and highly sophisticated segmentation and marketing techniques. It's like that because it needs to be. Because the pot of statutory income is shrinking across every sector and self generated income is becoming ever more important. Because charities are not just competing with each other, but with commercial businesses with ten times the budget. Because competition is intensifying whilst giving across the UK remains pretty much the same. The same cannot be said for dog poo on the pavement. Trustees who want to fulfil their duty of making sure that the charity is "carrying out the purposes for which it is set up" need to take responsibility for the income generation which makes fulfilling that mission possible. That isn't getting overly involved with operational matters. It's providing good governance. After all, you aren't getting involved in the minutiae of which cash appeal goes to whom. You're just understanding how decisions are being made and why, and ensuring that your charity's reputation and financial integrity are protected. To do that you need to understand the factors affecting your income generation - like the massive changes currently taking place in fundraising compliance and regulation - and you need to be able to advocate on behalf of your charity to ensure that they are able to generate the income they need to fulfil their charitable purpose. It's also important to know that the budgets you approve have an implication for the targets set for your fundraisers. So, for example, if you want to see rapid growth it has implications for the fundraising programme and the methods chosen to drive that growth. You need to know enough to be able to ask the questions which will give you the information you need to be able to balance the risks.. So many fundraisers throughout the consultations said that their Trustees and Directors set financial targets which drove more aggressive fundraising - focusing on cash in the short term, rather than long term relationships and donor satisfaction - without understanding the implications of those targets. So many fundraisers throughout the consultations spoke about having nowhere to go when they saw bad practice or poor decisions being made by their executive in relation to targets or fundraising. Where should they have gone? Their Trustees. What would a fundraiser in your organisation do? 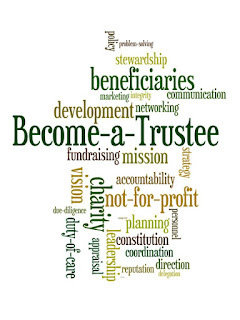 Are you a Trustee? Do you really understand your organisation's fundraising programme? 1) Do you know how income is generated? 2) Do the methods reflect the values your organisation holds dear? 3) Are you able to weigh up short term financial gain against long term strategic investment, and ensure your organisation has a balance of both? 4) Are there any negative indicators in your organisation's fundraising programme, like a high staff turnover in your fundraising team? 5) Do you understand which markets are shrinking or growing and what the future direction for your income generation programme is? 6) Does your investment in the fundraising programme match your expectations of growth in fundraised income? 7) Do you understand what it's like to be a donor to your organisation - are you a donor yourself? The "crisis in fundraising" and changes in fundraising regulation - a Trustees cribsheet. What is the "crisis in fundraising" and how did it come about? Adrian Salmon, Vice President of Grenzebach Glier and Associates, has written a handy summary for colleagues across the pond. You can find it here. It's a great summary of the events of the last year or two and what they have led to (though the views on what charities can do next aren't shared by everyone). Review of Fundraising Regulation led by Stuart Etherington, CEO, NCVO on behalf of the UK Government, commonly known as "The Etherington Review". Establishment of a new Fundraising Regulator - a recommendation widely welcomed across the various sectors engaged in fundraising. Establishment of a "Fundraising Preference Service" - a recommendation widely criticised across the various sectors engaged in fundraising. A consultation on the Fundraising Preference Service was launched, asking for responses to a series of propositions on how the Fundraising Preference Service could work. A consultation on the future of fundraising self regulation in Scotland was launched by SCVO. Both consultations closed on 31 March 2016. Why has the Fundraising Preference Service been widely criticised? Quite simply because it's felt to be unworkable (as well as potentially leading to a drop in income). If that single sentence isn't enough to convince you, read more here and check out Nfp Synergy's 20 Challenges a Fundraising Preference Service will need to cope with. What might happen if the Fundraising Preference Service is implemented (under the current proposals)? Bad things. If that doesn't convince you, you might want to explore 5 possible futures with the fundraising preference service. I don't like the sound of this. What can I do? Consult with your Chief Executive, fellow Trustees and Fundraising Team. Acquaint yourselves with the issues. Challenge your own preconceptions about charities and fundraising. Become aware of how charities and fundraising are being talked about. Challenge other people's opinions. Send your views to Fundraising Preference Service working group. Make the voice of Trustees heard. Write letters to the Editor. Advocate on behalf of your charity and the need for income generation. Become actively involved. As Trustees, the strong governance framework you provide ensures that organisations delivering vital services, research and experiences continue long into the future, providing incredible value to communities right across the world. Well done - and enjoy fundraising!